Our Universal Shift Knob can be used for threaded and non-threaded shifter levers. This knob is perfect for those fabricators who have made their own twin sticks or custom levers using bar stock. 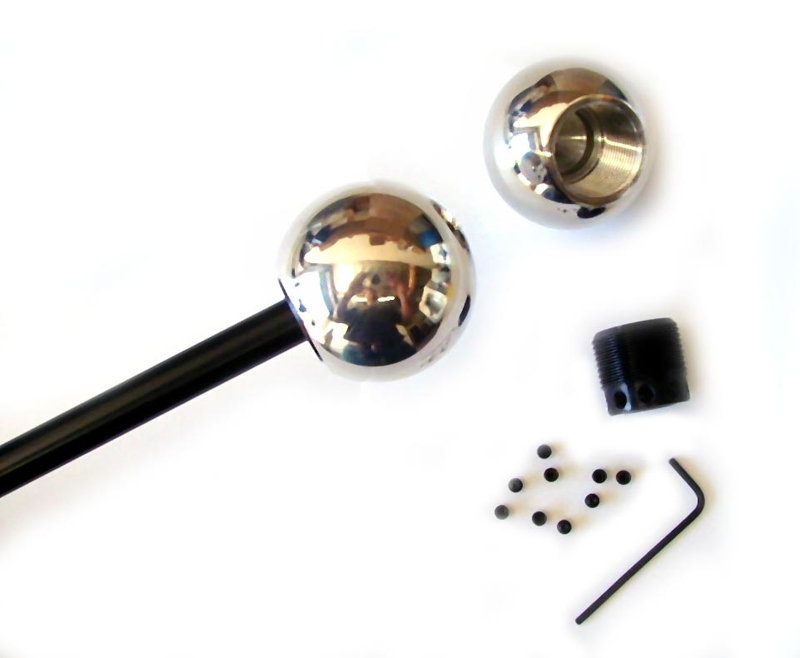 The 1 7/8" knob is made of billet T6-6061 aluminum and polished to a shiny finish. Included is the adapter which uses set screws to securely fasten it to your shift stick. Once in place, thread our knob on and you are ready to go. Will also work with threaded shift stick levers as well. Fits 3/8" to 9/16" stick diameters. Price shown includes (1) one knob only. The knob is the same no matter what application is picked from the pull down menu. Applications are there for us to track where the knob is being used.